It’s an annual rite of passage for top quarterbacks entering the NFL: Critics come out knocking them for ... well, anything and everything. 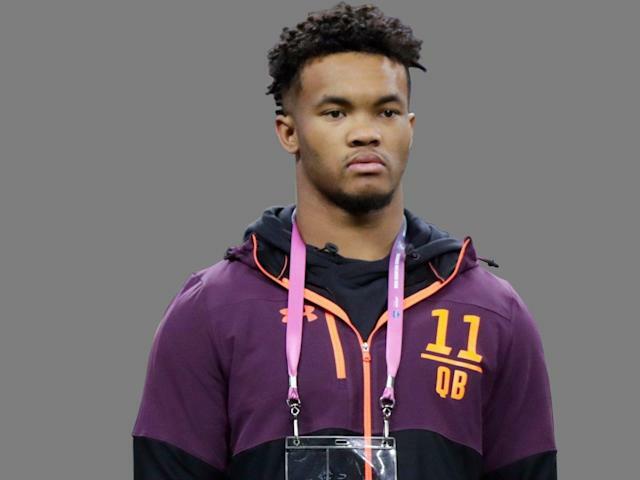 There was minor pullback over Kyler Murray not working out at the NFL scouting combine last week, but mostly he had a good week considering everyone left Indianapolis thinking he’d be the first pick of the draft. But we all knew the backlash was coming at some point. Very few elite prospects at quarterback avoid getting ripped, and Murray won’t be an exception. Former NFL general manager and current NFL Network analyst Charley Casserly said Tuesday that the comments about Murray coming out of the combine were the worst he had ever heard about a highly rated quarterback. Yes, the worst. He was around when Johnny Manziel was a first-round pick. And to think, there’s more than seven weeks to go before the draft. Apparently Murray didn’t make a good impression at the combine. That’s pretty much a clean sweep. Casserly hasn’t been anti-Murray; on Twitter he said that Murray’s height isn’t a big deal because Russell Wilson succeeded at the same size. Matt Miller of Bleacher Report said “a few teams” thought Murray interviewed poorly last week. So Casserly isn’t alone. Even if Murray is viewed by most teams as a bad leader who doesn’t study well and was unimpressive drawing up plays on the board, it might not matter anyway. Casserly also said on NFL Network he heard the Arizona Cardinals are shopping Josh Rosen in a trade. It’s one of many indications that Murray will go No. 1 overall to the Cardinals, even if everything Casserly heard is true. The knocks against Murray are unimportant if the Cardinals don’t care. It seems all signs right now point to Murray being the top pick of the draft, and if that’s the case then what the other 31 teams think doesn’t matter. Murray isn’t the first quarterback to get this treatment. From Cam Newton to Josh Rosen to Lamar Jackson and almost everyone in between, part of the pre-draft process is tearing down the top quarterbacks. It’s fairly predictable. It will happen next year to Tua Tagovailoa. We’ll spend two more years praising Trevor Lawrence, then he’ll get ripped too before he’s drafted. So welcome to the NFL, Kyler. You haven’t really made it as a top quarterback prospect until you’re picked apart before the draft.